How you see yourself and your role has a huge bearing on the kind of support you offer your loved one ? 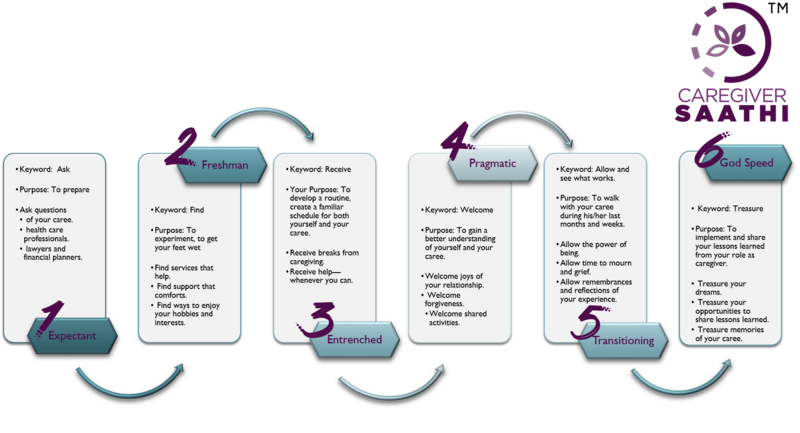 There are 6 Stages or phases of Caregiving. These stages are not discrete and can have overlaps. The challenging nature of a terminal illness or a chronic condition is that some of the later stages or phases run in parallel and there are no fixed periods for any stage. The key, however, is the awareness of this journey and therefore a preparedness for it. Who you are as a person, your worldview, your experiences etc. play a significant role in how you navigate the role of a Caregiver. While there are certain social narratives around Caregiving, stereotypes about genders and expectations from relationships, the more we understand who we are, the better we can play the role of a caregiver. Our overall wellbeing has various elements and given the overwhelming, stressful and traumatic circumstances of a caregiver, they are heightened in the case of a caregiver. 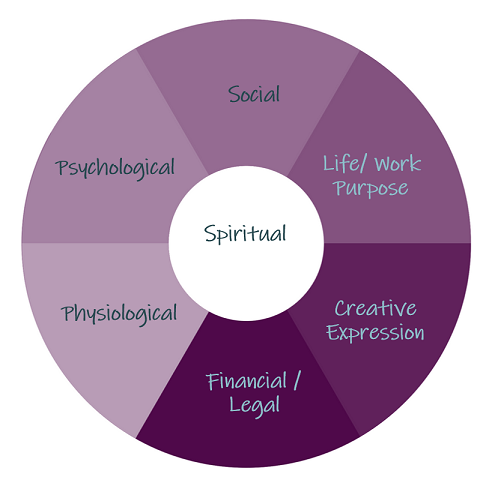 An assessment of which elements are replenishing and which are stressful in a caregiver’s life, depending on the life stage that the caregiver is in, the Caregiver Saathi™ can help, coach and counsel the caregiver to consciously, intentionally and mindfully create a unique personal approach to their wellbeing. Playing the "if only" games; saying over and over "If only this would happen." or "If only this hadn't happened." Wishing simply "to have the whole thing over with"